Spider-Man: Into the Spider-Verse 2 could bring in another fan-favorite version of the character. Producer/writer Phil Lord says that he will include Japanese Spider-Man in the sequel, but only under one condition, and Marvel fans are intent on making this happen. The animated movie has been hailed as one of the best superhero movies of the year with many praising the unique style along with the creative storyline. This has led to a word-of-mouth campaign that keeps bringing repeat visitors and new viewers to the theater. Phil Lord was asked on social media about the possible inclusion of Japanese Spider-Man in the Spider-Man: Into the Spider-Verse sequel. Lord confirmed that it is indeed a possibility and then continued to make a deal with Marvel fans on Twitter. The deal is that the movie has to cross the $200 million mark at the domestic box office, which it might actually be able to pull off. Spider-Man: Into the Spider-Verse currently sits at $104.1 million domestically and with the positive word of mouth, the movie could end up getting to the goal in the next few months. Worldwide, Spider-Man: Into the Spider-Verse has earned $213.7 million, as of this writing. The movie has left a lasting impression on Marvel fans and a sequel is destined to bring back some of the Spider-People that we just saw on the big screen. Japanese Spider-Man is a fan-favorite and many were holding out hopes that he would show up in the last movie at some point, but it looks like there's a good chance that he'll be joining the team for the sequel when it happens. In addition to the main Spider-People featured in Spider-Man: Into the Spider-Verse, the post-credit scene gave us one more fan-favorite. Spider-Man 2099, voiced by Oscar Isaac, popped up, leaving a wealth of possibilities for the sequel. The 2099 version of the character is super popular amongst comic book fans and if he returned with a more substantial role with Japanese Spider-Man, and maybe even Tom Holland's version, people would probably go nuts. Fans were also hoping that Holland's version of the character was going to pop up for a cameo, but that obviously didn't end up happening. Even before Spider-Man: Into the Spider-Verse was released, a sequel was already in the works. It was revealed at the end of November that Sony Pictures Animation was already developing a sequel and a possible spin-off. The seeds for the sequel have been planted, but the spin-off proves to be a mystery at this time. However, it has been rumored that the spin-off will center on Spider-Gwen, though that has not been officially confirmed. Whatever the case may be, there is more Spider-Man: Into the Spider-Verse coming, and it might include Japanese Spider-Man. In the meantime, Marvel fans should help those chances by encouraging friends to go see the groundbreaking animated superhero movie. 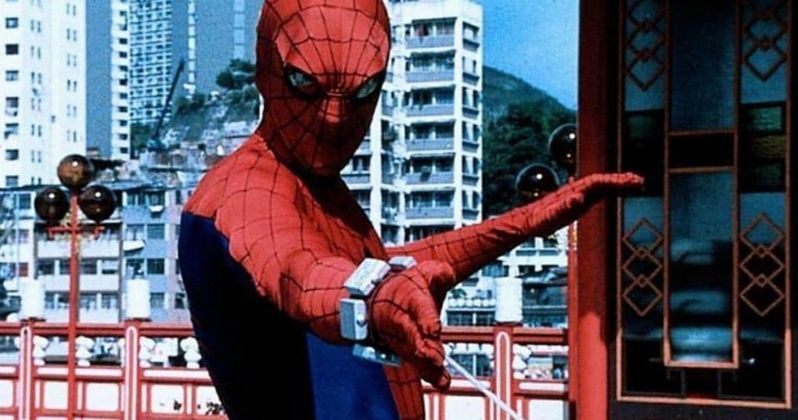 The Japanese Spider-Man news come to us from Phil Lord's Twitter account.